Sales and marketing have been in different departments since the beginning of business, but we question is this the most effective way to succeed? With the latest technologies, including sales force and marketing automation, the gap between sales and marketing is decreasing everyday. When the two functions come together, communication barriers are broken and ultimately if done correctly, revenues increase. Even though marketing and sales are two very different functions within a company, one cannot survive without the other. Both bring different assets to an organization as a whole. The inherent connection between the two lies in the fact that they share a similar goal: increasing revenue. Marketers generate leads and sales executives close the deal. Both sales professionals and marketers, however, need to work in order to nurture their leads. Because they share this mutual objective, the means in which they accomplish this should complement each other. 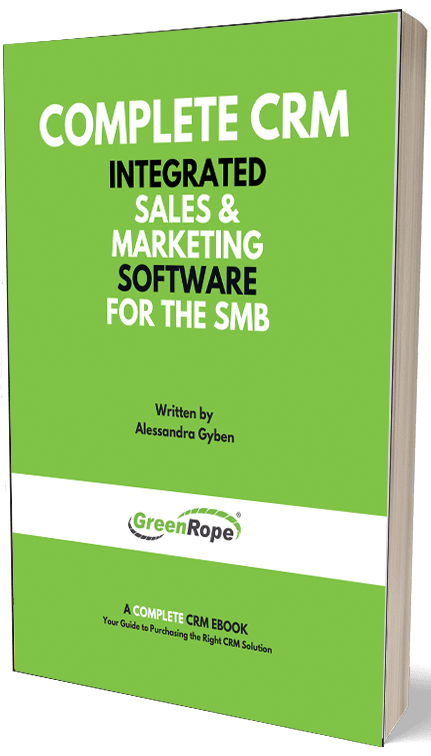 CRM software and integrated business operating systems, like GreenRope, increase and promote communication between both sales and marketing. The information that is collected in a CRM helps marketers determine a successful marketing strategy. A marketing team can use analytics to better determine which of their marketing efforts are effective and which could use improvement. This powerful information allows an organization to design campaigns aimed at attracting new customers, as well as reinforcing your value to existing customers. The CRM data collected lets sales people know what their contacts are most interested in by viewing their actions and behaviors. Automation, signup forms, etc. simplify the sales process and shorten the cycle, while providing powerful analytics letting them know what is working and what’s not. Integrated software, like GreenRope, offers sales and marketing teams a deep view of the customer, allowing both to nurture them before they even know it is happening. Marketing and sales alignment is key to any successful organization. By developing a common vocabulary and establishing respect and trust between sales and marketing teams benefits the company as a whole. Each department must understand what the other is doing while fostering open communication, resulting in common agendas. The most efficient way to build this relationship is by building common ground, which may depend on establishing shared definitions on what constitutes a lead, what metrics should be used, etc. Having a mutual understanding on how each effort affects the overall acquisition process ensures that all parties are kept accountable. For example, marketing needs to make sure that sales is following up with the leads that come in, where as sales wants to make sure that the leads coming in are sales ready. For more information about the growing relationship between sales and marketing and how to cultivate this relationship, make sure to visit the GreenRope blog!